I hope these stories of other employers’ massive mistakes help you to avoid falling into the same trap. 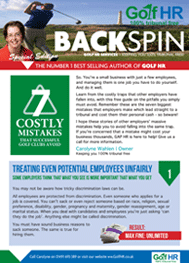 If you’re concerned that a mistake might cost your business thousands, Golf HR is here to help! Give us a call on 01491 693 385 for more information.